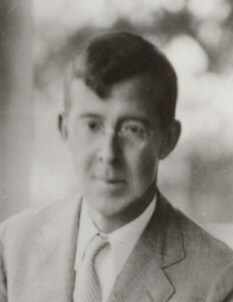 Питири́м Алекса́ндрович Соро́кин (1889-1968) was considered in many ways to be the anti-Talcott Parsons due to their notorious disagreements over the merits of Parsons’s The Structure of Social Action (1937) as well as his rather tyrannical personality. Both Sorokin and Parsons were philosophers of history (due to Parson’s late embrace, like Karl Popper, of evolutionary models of societal growth and development) and the separation of their intellectual projects is not as pronounced as is thought. Sorokin was an evolutionist who was also an “old-school” sociologist insofar as he considered the social scientific heritage of the latter nineteenth century to be quite valuable. His 1928 Contemporary Sociological Theories is a compendium of the mental furniture of social theory in the long nineteenth century. Robert Merton, who was always careful to distance himself from Sorokin, betrays Sorokin’s influence in his citation methods and in his adherence to the “spirit” of the argument of his sources, rather than the letter. Both Merton and Sorokin were lumpers (see Merton’s 1936 paper, “The Unanticipated Consequences of Purposive Social Action”), but they lumped heuristically. Sorokin’s Man and Society in Calamity: The Effects of War, Revolution, Famine, Pestilence Upon Human Mind, Behavior, Social Organization and Cultural Life (1946) immediately reminds one of R. A. Fisher’s work, or that of Alexander Carr-Saunders. All three looked at rates of differential fertility and the impact of social forces (wars, revolution, migration) on the evolution of human civilization. All considered human evolution to be determined by differing forces than those governing natural selection. As importantly, Sorokin continued the “war and waste” debate, also referred to as the “military selection” debate, a controversy which marinated through much of the later nineteenth century, but which really had two great stimuli: the Boer War and the First World War. David Starr Jordan as well as Thorstein Veblen were two important interlocutors in this debate. If we were to ask … what universal language could enable men of science to understand each other sufficiently well for effective co-operation, I submit that there can be only one answer. If we could select a group of men of science, completely purge their minds of all knowledge of language, and allow them time to develop the means of conveying to one another their scientific ideas, I have no doubt whatever that the only successful medium they could devise would be that ancient system of logic and deductive reasoning first perfected by the Greeks, and which we know as Mathematics. As we saw in Part 1, the bulk of Fisher’s statistical theorization was dedicated to the problem of inductive reasoning, that is, the development of defined conclusions from well-structured observations. But it is clear that Fisher also valued deductive uses of mathematics, because it permitted different observational conclusions to be related to each other through a fully coherent language. It is just not clear what he understood the epistemological status or function of deductive knowledge to be. For a paper Chris Donohue and I have been working on, I have been delving into the historiography on statistician and genetic theorist R. A. Fisher (1890-1962). The main thing I was trying to do was to make sense of the last third of Fisher’s touchstone book The Genetical Theory of Natural Selection (1930), which is a protracted eugenic explanation for why civilizations decline. When I first got onto this topic, I consulted Greg Radick about it, and he directed me to Stephen Jay Gould’s 1991 essay, “The Smoking Gun of Eugenics” (reprinted in Gould’s Dinosaur in a Haystack collection), in which Gould takes apart both Fisher’s civilizational theory as well as his 1950s-era arguments against claims that smoking leads to cancer. If you’re interested in the specifics of Fisher’s arguments, do read Gould’s essay, or, better still, read the original. Suffice it here to say that Gould claims Fisher made bogus arguments on account of his commitment to eugenics (with a similar story for smoking). This is true, as far as it goes, but I wanted to find a “higher-order” explanation for Fisher’s civilizational theory, which would account for why he thought his arguments made sense. Fisher, after all, was a famous proponent of methodological rigor, and even prima facie his arguments about civilizational decline were, shall we say, less than rigorous. If you’re interested in my take, you’ll have to wait until 2014 for the edited volume our essay will be in to come out (hooray for academic publishing; if you’re really interested, please do contact me for a draft copy). But the general approach I took was to delve into Fisher’s ideas about scientific methodology. Below the fold I take a meandering tour through these ideas, and the scattered historiography on them.